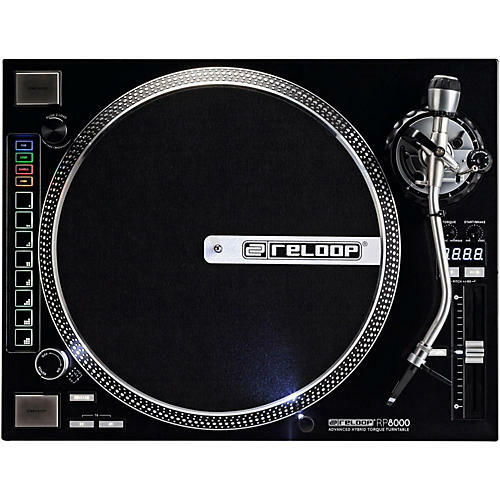 The Reloop RP-8000 combines modern DJ technology in an advanced turntable. This hybrid high torque turntable does the balancing act between approved direct drive technology and a digital control section for your DJ software. The RP-8000 is able to communicate with any MIDI compatible DJ software. Serato Scratch Live mappings are also available with which the worldwide most popular and stable DVS system can be controlled. With the Trax encoder it is possible to scroll through your playlists and comfortably load tracks onto the decks. Variable torque from "Classic" to "HiTorque"